Are you diagnosed with having temporomandibular joint disorder (TMJD)? Experiencing jaw pain? TMJ is often hard to diagnose and treat. In fact, many doctors misdiagnose it for a sinus condition rather than an issue with the jaw joint. The symptoms also vary in severity, depending on the level of stress the person is experiencing. Severe earaches, grinding teeth and even lockjaw are often the signs and symptoms during an extremely stressful period. Today, more and more doctors are using Wrinkle reduction treatment ® injectives as an effective and painless way to reduce the jaw pain, relieve the tension of temporomandibular joint, lessen the headaches and earache and suffering. While Wrinkle reduction treatment is often associated with beauty and cosmetic practices, such as eliminating facial wrinkles and fine lines, it has recently become a popular TMJ treatment. Based on a study of using Wrinkle reduction treatment as an analgesic treatment for TMJ disorder, result show that Wrinkle reduction treatment ‘significantly decrease the pain and improve movement of patients presented with TMJD’. Twenty-six patients with chronic pain due to TMJD were assessed and after three months, they felt less pain and muscle tenderness and increased mouth opening. How does Wrinkle reduction treatment Work for TMJ Disorder? 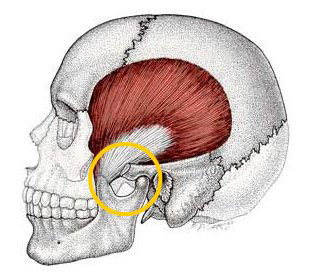 The temporomandibular joint is situated on the sides of the head, adjoining the skull and jawbone. The joint is constantly used for different activities such as speaking, biting, chewing and swallowing. The most common causes of TMJ are involuntary jaw movements due to stress and jaw displacement. What Wrinkle reduction treatment do is that it helps alleviate the temporomandibular tension through relaxation of jaw muscles. This further prevents unintentional jaw movement and ends headaches or migraine due to teeth grinding. The good thing about Wrinkle reduction treatment is that normal functions such as biting, swallowing and speaking are unaffected. Moreover, Wrinkle reduction treatment prevents any further dental damage from happening. If left untreated, TMJ can contribute to gum disease, tooth decay and loosening of the teeth. When used in combination with other substances or medications, Wrinkle reduction treatment may not take effect as desired. It is very important to discuss your medical history prior to administration. Wrinkle reduction treatment is not recommended for lactating or pregnant women. 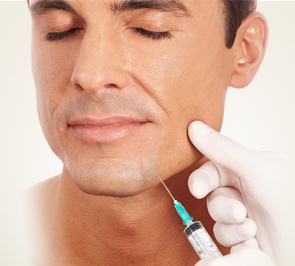 Administration of Wrinkle reduction Injectiontakes about 10 to 20 minutes, depending on the amount needed. Since it is non-surgical, the person can leave at the same day. Driving ability won’t be affected by the treatment. The injections are no more painful than a pinprick. But to reduce anxiety, nitrous oxide can be used. The patient can resume normal activity immediately after injection of Wrinkle reduction treatment , but any strenuous activity must be avoided within 24 hours after the treatment. Take note that it can take several days to notice the full healing effect of the Wrinkle reduction treatment , but the treatment will continue to work up to 3 months. If you have any queries or concerns regarding Wrinkle reduction treatment for TMJ, please contact Skin Hampshire.